Recharge using 110-240 VAC wall power or 12 VDC. 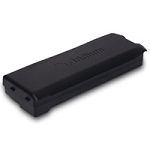 Additional Information Lithium Polymer with selectable 12/16/19 VDC output and USB output. 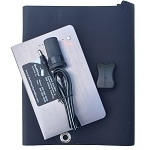 Includes adapter cables for popular laptops and cigarette lighter output. 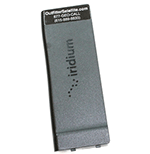 Compatible with all handheld satellite phones. 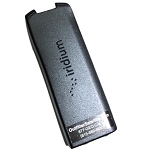 A special USB-to-barrel adapter is included for the Iridium 9555, 9505A, 9505, and 9500. 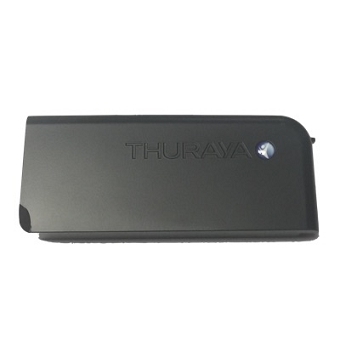 A good choice for BGAN, Thuraya IP, laptop or Optimizer users. 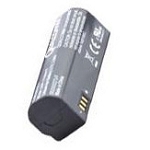 Charges the built-in V72 battery pack while you walk down the trail. Takes 14.5 hours of full sunlight to recharge V72. 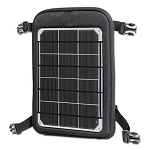 With the 26W panel, the V72 battery pack can be used as an uninterruptible power supply, taking power from the solar panel while powering a BGAN or laptop. Do you really need a solar panel? 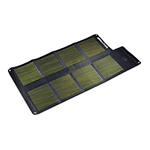 For many applications a lightweight battery pack can resolve your extra power needs. 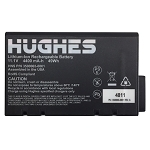 The V44 battery pack is a lightweight 11 oz 44Wh Lithium polymer battery with an LED fuel gauge that can provide 2-3 recharges for most USB rechargeable handheld satellite phones. Need more? 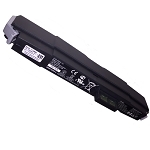 Our V72 battery pack is a 1.7 lb 72 Wh battery with an LED fuel gauge with both USB and 12 Volt DC outputs. 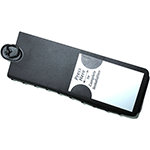 It is suitable for use with laptops and BGAN terminals.